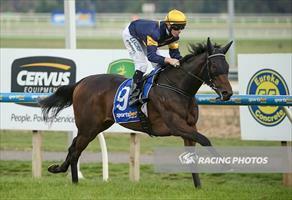 Lilymorn the only runner for the stable on Tuesday when she heads to Ballarat. Lilymorn runs in race seven, the Benchmark 64 Handicap over 2300m where she has drawn barrier three and to be ridden by Patrick Moloney. The four-year-old was also accepted with for Sandown on Wednesday however, Mike Moroney has elected to tackle what he thinks is the more suitable race. “She’s won twice at Ballarat and run not so well at Sandown,” Moroney said. “There also looked more depth to the Sandown race so we’ve decided to run at Ballarat. “I’m happy with the way she is training - she’s frustrating because she has shown us a lot more at home than she has at the races. “She’s as fit as can be and if she decided to put it all together then she can win.